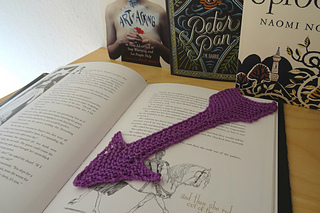 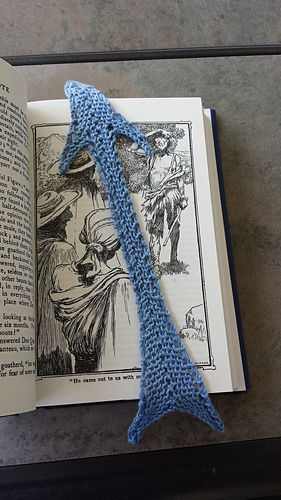 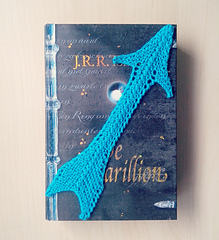 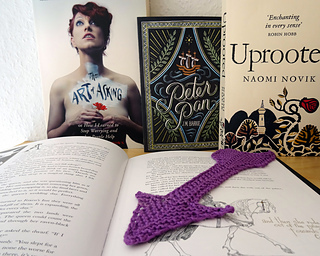 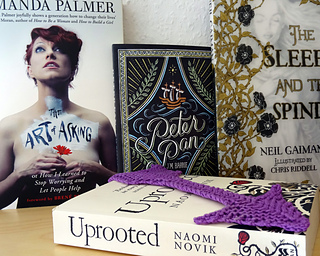 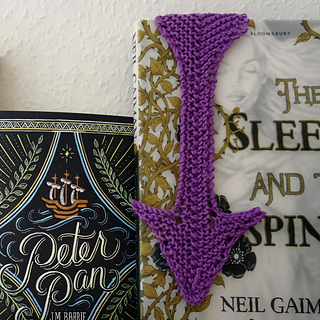 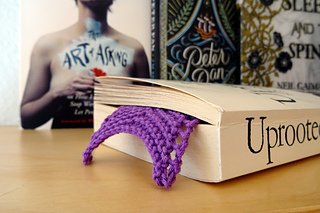 Because I am a huge fan of Hawkeye, I just had to use purple yarn for mine – it’s my favourite colour and now the bookmark will always remind me of the Avenger with no actual superpowers, who fights with a rather low tech weapon. 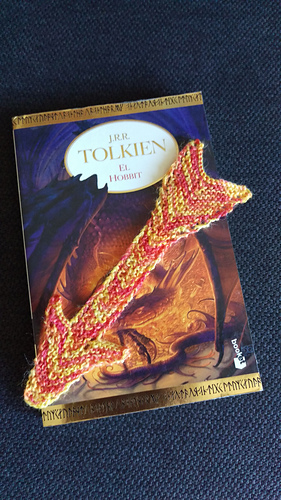 But whatever your reason to make this bookmark, it will be a quick project that can be done in an hour or two by an experienced knitter. 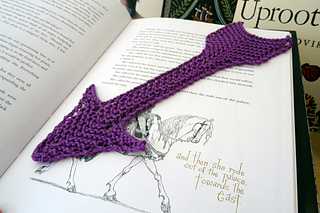 It is simple garter stitch with yarn overs and a double decrease in the centre – making it suitable for adventurous beginning knitters as well. 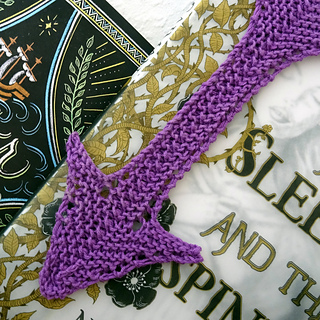 Gauge is not crucial here, but it might affect the size of your finished bookmark and how much yarn you need.